Global Marble & Granite is an independently owned company, serving the South Shore, Cape Cod and The Islands. We understand that you want your home to reflect the beauty of this area that we are lucky enough to live in. We are committed to ensuring that the process – from the first meeting to the final installation – is as simple and as enjoyable as possible. Owned by Fabio De Oliveira, Global Marble & Granite opened its showroom at the Bell Tower Mall at 1600 Falmouth Road in Centerville in August 2016. The same qualities (hard work, dedication, passion) Fabio used to launch and grow his first business are what he and his staff have brought to Global Marble & Granite. As a customer, you can rest assured that our goal is the same as yours –to transform your home into the oasis you want it to be. In order to do that, the details have to be just right. With our knowledge of natural and man-made materials, we can make that happen, walking you through the process of what will work best for your indoor (kitchens, fireplaces, bathrooms, bar areas, flooring, tabletops) and outdoor (fireplaces, kitchens, bars) needs. We encourage you to explore our website to learn more about our products and services. 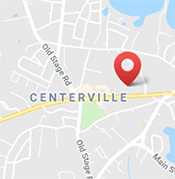 And if you’re in the area, stop by our state-of-the-art showroom to see just how creative you can get with your remodeling or new home construction project. Not unlike an art gallery, our showroom features granite and marble samples that are displayed in a way that makes it easy for you compare them to determine what will work best for your space. 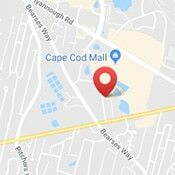 Global Marble & Granite services all of Cape Cod and the Islands as well as parts of Plymouth County. Whether you are a homeowner or a contractor, we look forward to working with you to meet all your home improvement needs. Abington, Acton, Aquinnah, Ashland, Auburn, Barnstable Village, Bass River, Bellingham, Boston, Bournedale, Bourne Village, Boxborough, Boylston, Bridgewater, Brockton, Brookline, Buzzards Bay, Cambridge, Carver, Cataumet, Centerville, Chatham, Chatham Port, Chestnut Hill, Chilmark, Clinton, Concord, Cotuit, Craigville, Cummaquid, Davisville, Dennis Port, Duxbury, East Brewster, East Bridgewater, East Dennis, East Falmouth, Eastham, East Harwich, East Orleans, East Sandwich, Edgartown, Falmouth, Falmouth Heights, Falmouth Village, Forestdale, Framingham, Franklin, Gray Gables, Halifax, Hanover, Hanson, Harwich Center, Harwich Port, Hatchville, Hingham, Holden, Holliston, Hopkinton, Hull, Hyannis, Hyannis Port, Kingston, Lakeville, Lambert’s Cove, Lexington, Lincoln, Lowell, Makonikey, Marion, Marlborough, Marstons Mills, Marshfield, Mashpee, Mattapoisett, Medfield, Menemsha, Middleborough, Monument Beach, Nantucket, Natick, Newbury, New Seabury, North Chatham, North Dennis, North Eastham, North Falmouth, North Harwich, North Truro, Norwell, Oak Bluffs, Orleans, Osterville, Otis Air Base, Oxford, Pembroke, Pilot Hill, Pinehills, Pleasant Lake, Plymouth, Plympton, Pocasset, Provincetown, Quissett, Rochester, Rockland, Sagamore, Sagamore Beach, Sandwich, Santuit, Scituate, Silver Beach, Sippewissett, Somerville, Southborough, South Chatham, South Dennis, South Harwich, South Orleans, South Wellfleet, South Yarmouth, Stow, Sturbridge, Sudbury, Teaticket, Tisbury, Truro, Vineyard Haven, Waquoit, Wareham, Waltham, Wayland, Wellesley, Wellesley Hills, Wellfleet, West Barnstable, West Brewster, West Bridgewater, West Chatham, West Chop, West Dennis, West Falmouth, West Harwich, West Hyannis Port, Weston, West Tisbury, West Yarmouth, Whitman, Wianno, Woburn, Woods Hole, Yarmouth Port.